Jillian Vorce, new media and Internet marketing consultant, will speak at our next Breakfast of Champions meeting Wednesday morning, June 5, from 7:30 to 9:00. Jillian is the consummate networker. By focusing on building authentic and strategic relationships over the past decade, she has built a vast and diverse global network. Her true passion, and the source for her seemingly endless supply of energy, is her unwavering determination to help others. • Position yourself for continued success by effectively utilizing new platforms. • Position yourself as a thought leader and increase your brand equity. • Expand your client base and offerings by leveraging new tools, technology, and media. • Develop and maintain a favorable professional reputation. • Engage more clients, for more impact, and more revenue and legacy. • Create a “digital handshake” with your target audience. 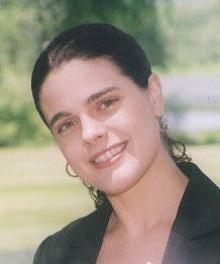 Jillian is the founder of the TheJillianGroup.com and the president of the Natick Rotary Club. She spoke at SPC’s dinner meeting in February, and we’re grateful she’s agreed to meet with us again over breakfast. The Breakfast of Champions meetings are even more interactive than our dinner meetings. Come bring your questions to ask and ideas to share ... harness the energy of the group! A light Continental buffet is provided.